Hiker and Boat shuttles out of Erwin, TN. 423-330-7416 - Erwin Shuttles for Appalachian Trail hikers, rafters, bicyclists, and motorcyclists! 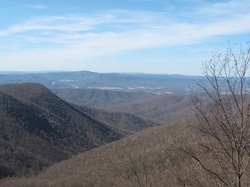 Welcome to hikershuttles.com, the most extensive source of information for Appalachian Trail hiker shuttles, free parking, and accommodations in the Erwin area. We are a licensed, insured shuttle service by hikers and rafters for hikers and rafters. We shuttle and that's all we do. Period. Website and prices up to date as of March 29, 2019. ​If you're planning a trip to the area and want to schedule a shuttle we're ready to help you get on the trail or on the water. We can pick you in a well maintained and properly insured vehicle and drop you off at all area trailheads on the Appalachian Trail from Springer Mountain to Harper's Ferry. We also service trailheads in the Cherokee and Pisgah National Forests. For boaters we offer shuttles at all accessible take outs and put ins on the Nolichucky River. If you've hiked into town we're happy to shuttle you around to resupply, a trip to the pharmacy, to an outfitter, or to the airport or rent a car. If you're hiking (or rafting, bicycling, or motorcycling...) and need to get somewhere - call us at 423-330-7416 or send us an email to make arrangements. We shuttle 7 days a week and can get you where you need to be as early as you like. To make it easy we accept cash, credit, and debit - no additional fee for credit cards and no sales tax as it isn't required for shuttles. Want to get on the trail early? No problem - we'll get you to the trail as early as you want - at no extra charge. Did you know: Don't need a shuttle and just need hiking or rafting info about the area? I've hiked Springer to Damascus many times and all over the national forests in the area and J-Walker knows the rivers and lakes. We can help you with lodging choices and tell you where you can safely park your vehicle close to the trail without paying. Email us if you have questions, we're happy to help! We also do $25 rafting shuttles on the Nolichucky River. We'll ride to the put-in with you and once you're on the water we'll take your car back to the take-out where it will be waiting on you.